Welcome to 827 Wrightstown Road. 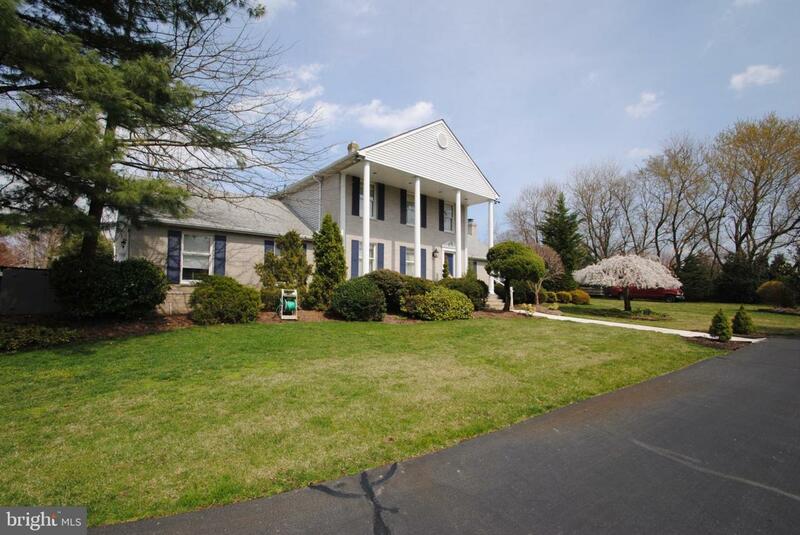 This, 4 bed room 2 and a half bath home is situated on a beautifully landscaped 1.1-acre property. As you pull onto the winding driveway, you immediately feel as though you~re on a private estate with the well-manicured hedge row that virtually surrounds the entire property. The foyer of the home greets you as you enter. 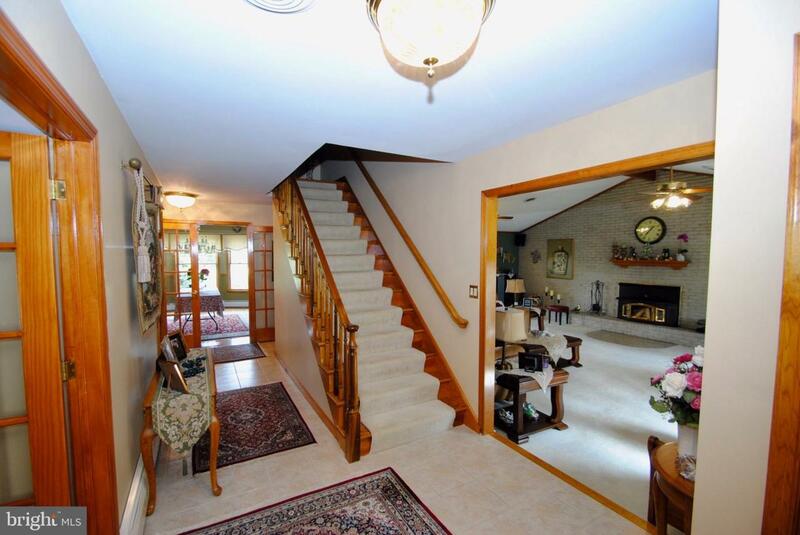 This space features tile floors, wood stair case and multiple sets of French doors. The formal living room has hardwood floors, crown moldings and a neutral d~cor. The 23x21 family room of this home boasts a vaulted ceiling with an exposed center wood beam, a full brick wall with wood burning fire place, and 2 sliding glass doors that lead to a beautiful hard- scape covered patio. This transition creates a very nice indoor/outdoor living space. The full kitchen features traditional oak cabinets, granite countertops, electric cooktop, a wall mounted oven/microwave and ceramic tile floor. The ceramic floor flows around the kitchen peninsula to a breakfast nook with large windows that will give you more views of the serine back yard. To finish off the main floor of the home is the dining room. This room features French doors, hardwood floors, crown molding and large windows that allow for plenty of natural light. 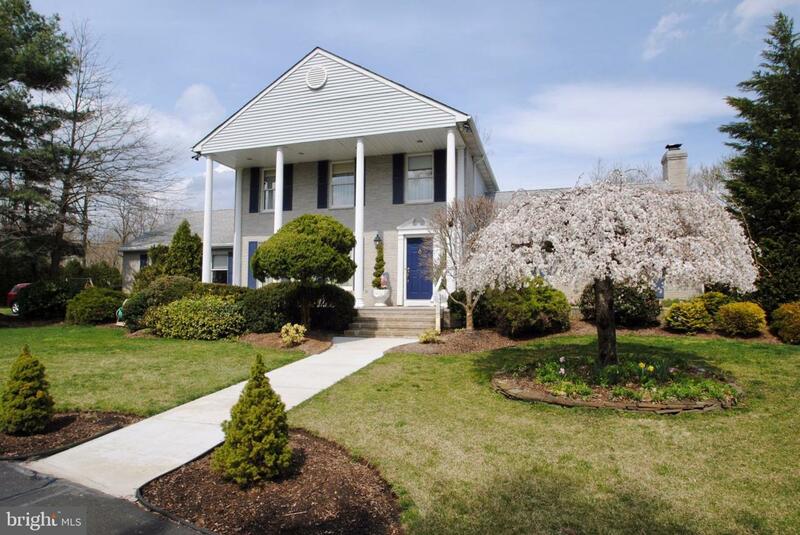 The 2nd floor of this home is where you will find the 4 bedrooms and the 2 full baths. The 16 x14 master bed room features wall to wall carpet and a full ensuite 3-piece bathroom. The 3 other bedrooms also have the same wall to wall carpet that creates a seamless flow throughout the 2nd floor. All of these rooms are a generous size and all have been neutrally painted so that they will adapted to any style of d~cor. The hall bath that services the 3 other bedrooms, has double sinks, tile floors and Jacuzzi tub. As your tour is coming to an end you can~t forget to take a look at the full partially finished basement, the 2-car attached garage and the large deck space off the kitchen. This is all topped off with updated windows, heating system, and roof. This home is truly a must see!!!!!! !